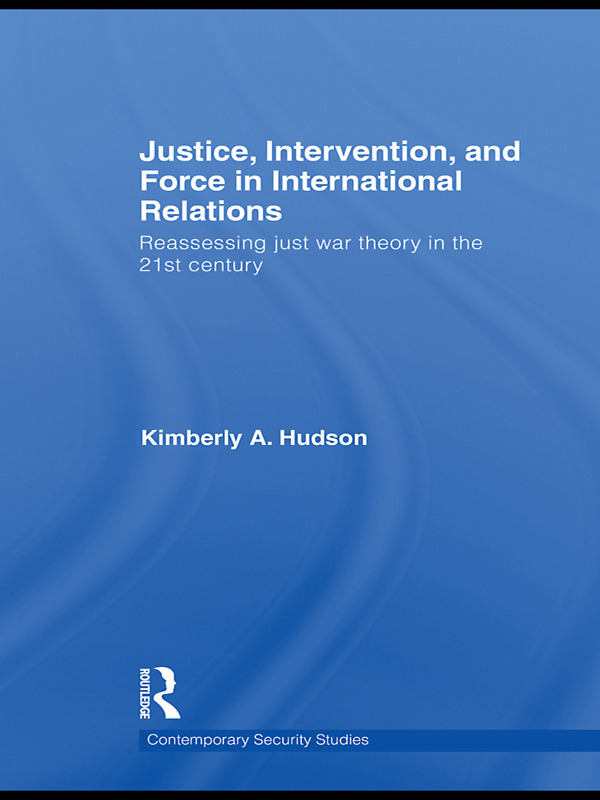 This book analyses the problems of current just war theory, and offers a more stable justificatory framework for non-intervention in international relations. The primary purpose of just war theory is to provide a language and a framework by which decision makers and citizens can organize and articulate arguments about the justice of particular wars. Given that the majority of conflicts that threaten human security are now intra-state conflicts, just war theory is often called on to make judgments about wars of intervention. This book aims to critically examine the tenets of just war theory in light of these changes, and formulate a new theory of intervention and just cause. For Michael Walzer, the leading scholar of just war theory, armed humanitarian intervention is permissible only in cases of genocide, ethnic cleansing, widespread massacres, or enslavement. This book shows why this threshold is too restrictive in light of the progressive shift away from interstate conflict as well as the emerging norms of 'sovereignty as responsibility' and the 'responsibility to protect'. Justice, Intervention and Force in International Relations aims to establish a new, stable foundation for non-intervention and a revised threshold for 'just cause'. In addition, this book demonstrates that over-reliance on the just cause category distorts understanding, analysis, and public discussion of the justice or injustice of resorting to war. This new book will be of much interest to students of ethics, security studies, international relations and international law. Kimberley Hudson is Assistant Professor of Political Science at American International College, and has a Phd in International Relations from Brown University.